Created by Belvoir @ Belvoir Theatre. Written by Rita Kalnejais. Directed by Eamon Flack. 2012 photos © Heidrun Lohr. 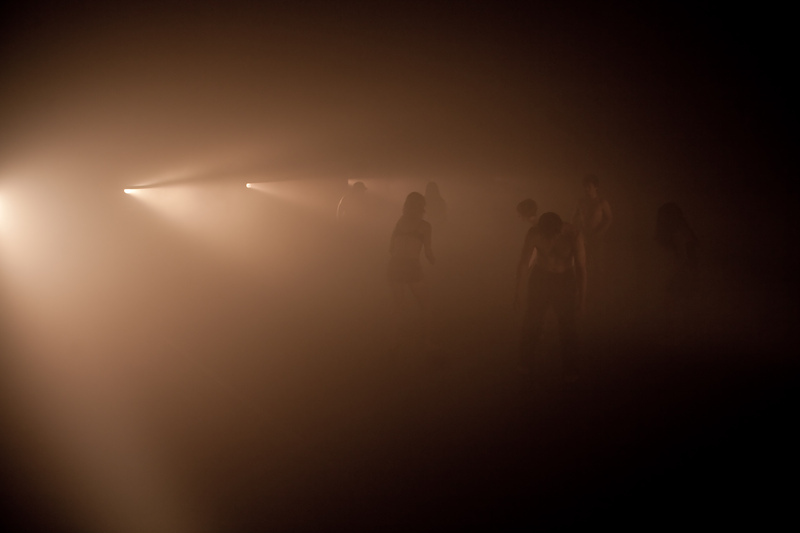 “…The lighting by Niklas Pajanti is exceptional.” Lynne Lancaster, artsHub, 20 February, 2012. Star Voyager: Exploring Space On Screen @ Australian Centre for the Moving Image. 2011 – 2012 photos © Mark Ashkanasy. Created by Jenny Kemp @ The Malthouse. Written and directed by Jenny Kemp, 2008 photos © Ross Bird. “This piece is visually stunning.” Erin Hutching, Melbourne Festival Reviews, 9th October 2008. Created by Madeleine Flynn, Tim Humphrey, Jesse Stevens & Niklas Pajanti @ Dancehouse, 2011 photos © Jac Price & Dean Peterson. “…a dynamic design by Nik Pajanti.” Gail Priest, RealTime, issue #102. “… I thought I might be having a mild stroke, but it was just my eyes having trouble focusing on the shadows…” John Bailey, Capital Idea, March 23, 2011. Created by Belvoir @ Belvoir Theatre. Written by Henrik Ibsen . Directed by Simon Stone. 2011 photos © Heidrun Lohr. …the design is exemplary in how it contributes to the meaning of the performance. Alison Croggan, Theatrenotes, 30March, 2011. Created by NYID and The Wuturi Players @ The Meat Market. Directed by David Pledger. 2009 photos © Jave Lee & Kyung Na. Lighting design by Niklas Pajanti and Paul Jackson. Nominated for Victorian Green Room Award, category Lighting Design in Dance 2009. …I could not imagine this production without the inspired lighting design by Paul Jackson and Niklas Pajanti. Simonne Michelle-Wells, Australian Stage, 9 August 2009. Created by Not Yet It’s Difficult and Dolgoogi Theatre @ Seoul Performing Arts Festival. Written and directed by David Pledger. Photos © 2005. The Art of Disney’s Classic fairy Tales @ Australian Centre for the Moving Image. 2010-11 photos © Mark Ashkanasy. Created by Gideon Obarzanek @ Chunky Move Studio 1, 2006 Photos © Niklas Pajanti. Created by Company B @ Belvoir Theatre. Written by Alexei Arbuzov. Directed by Simon Stone. 2009, photos © Heidrun Lohr. …a spectacular lighting design by Niklas Pajanti. Augusta Supple, Australian Stage, 16 July, 2009. Created by Phillip Adams @ Chunky Move Studio 1, 2008. Photos © Jeff Busby. Nominated for a Victorian Green Room Award in Dance category, Lighting Design. Created by Chamber Made @ The Meat Market. Written by Sam Sejavka. Directed by Douglas Horton. Lighting by Niklas Pajanti & Paul Jackson 2006. Nominated for Victorian Green Room Award. Category Opera, Lighting Design. …part rock-n-roll/part art-installation lighting design. Michael Parry, ArtsHub, 16 february 2010. …Niklas Pajanti’s lighting design is ravishing… Jason Blake, The Sydney Morning Herald, 9 February 2010. …the lighting by Niklas Pajanti is perfectly suited… Elisa Ghisalberti, Spark Online, August, 2008.